A professional artificial grass installation service can have a turf laid in record timing because they are experienced in the industry and years of installations has made them familiar with how a piece of turf moves and operates as well as allowing them to install turfs in a range of different weather conditions. Laying one yourself is going to take up valuable time and energy because you will not have this experience to rely on and whilst you may save money you will spent a lot of time trying to get it right. Laying a turf is no funny business and it can be extremely stressful when you don’t know what you are doing. A professional has the higher ground here because they can not only lay a turf completely stress free, they can do it whilst multi-tasking! It is always best to hire an expert who knows what they are doing than causing yourself unnecessary anguish try to get the job done yourself just to pocket some extra cash. Many people who chose the DIY route often underestimate how difficult it is to lay down an artificial turf. After all, it isn’t like laying down a rug! There are other vital layers that need to be added such as the filter layer, infill sand and levelling. If you over estimate your abilities or how easy it will be to complete an installation, you will likely end up with an uneven lawn that will require professionals to correct it and cost much more than it would have to hire professionals in the first place. 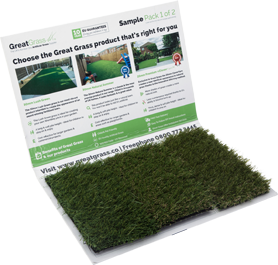 Now you know why professionals are so qualified to carry out an installation job, it’s time to get in contact with a member of the Great Grass team and organise your own! After all, even the most botched DIY jobs can be fixed! For more information or to find out the details behind our artificial grass installations, get in contact with a member of the team today!